Discussion in 'Member Introductions' started by Pyro Phoenix, Oct 14, 2018.
found this forum due to some problems with printers I recently got gifted. I'm a trained IT Systems Engineer mixed with a good portion of craftsmanship. I'm a friend of keeping things working - so in a contrary belief to, what many manufracturers want to happen to their devices after a certain time of use. I think, that I've found a good place to be with this kind of mindset. Welcome to the forum, Pyro Phoenix. 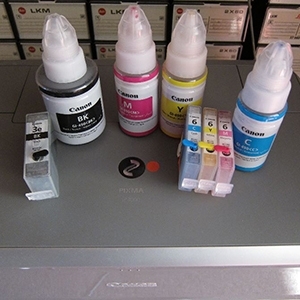 We do appreciate keeping our printers functioning as long as possible and economically. Settle in and get comfortable.